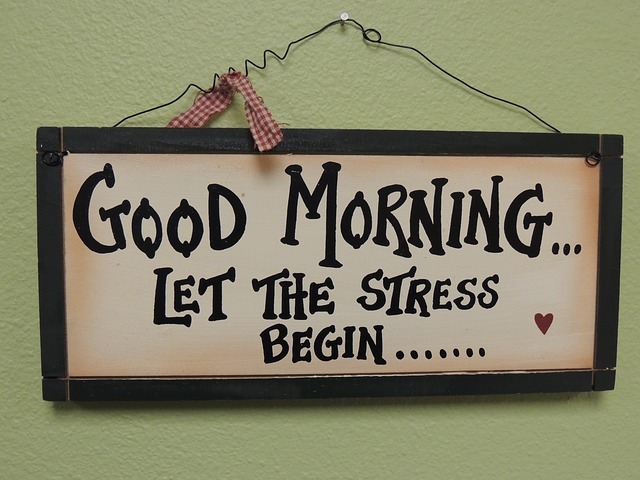 Now that the kids are going back to school, parents are faced with stressful mornings again? If you have a helper at home, you probably can't relate much with that statement. We don't have a helper. It's not that we can't afford it, but it's just how we manage our home. So during school days, I (and/or my husband) wake up earlier to prepare breakfast and the kids' "baon" or packed lunch and snacks. Then, we wake up the kids and they take turns taking a bath, getting dressed or eating breakfast. Then, off they go to school. Wait ... that doesn't look stressful to me. Well, let me tell you, doing these things are NOT really stressful. What stresses me is the fact that the kids don't want to wake up and when they do get up they do things (like eating) very slowly as if they don't care about the time. My dear husband, who is telling them to go fast is getting anxious because they might be late for school because of the traffic. He drives them to school. 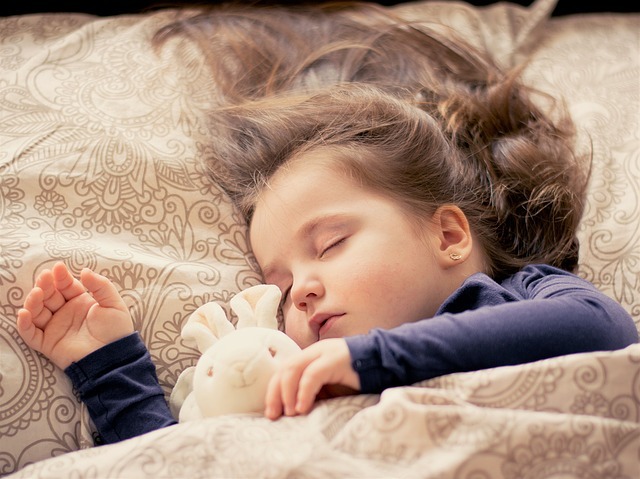 How Do You Get Your Kids to Wake Up Early in the Morning? Getting to bed earlier is one easy way to wake up earlier in the morning. Well that is easier said than done. If your kids are like mine who slept late and woke up late during the summer vacation, it's not that easy. But you've got to impose this on them so that they could still get the full 8 hours of healthy sleep each night during school days. Having enough or lack of sleep affects their good performance in school. 2. Turn off or turn on the light. The body's internal clock is naturally set to stay awake when there is light outside, and to sleep when it is dark. That is why in the province where (farm) homes have poor lighting, people sleep early and wake up early. Make use of this biological fact. Turn off the light at the time when you want your children to go to sleep. Turn on the light to wake them up or let the sunlight shine through if the sun is already up. Do you know why the kids don't want to go to sleep yet? They want to watch TV, play their video games, or chat/browse on Facebook. You've got to remove these distractions at bedtime. Turn off the Wi-Fi if you must. It's a discipline that you must impose. Sometimes, I am to blame because I often work online at night. So, I have to make a choice to turn off the Wi-Fi until the children are asleep, then resume work, if necessary. 4. Wake them up earlier. Reset the children's mental morning clock by taking gradual steps. Give them enough time to adjust. So, if you want them to get up 1 hour earlier in the morning, wake them up 15 minutes earlier tomorrow. Move that to 30 minutes earlier on the following day, slowly building up to the desired 60 minute advanced rising time. Consider also the fact that they won't immediately get up upon waking up. Give that a time allowance as well. 5. Use an alarm clock. I don't use an alarm clock because it doesn't work for me (I really don't hear it ring). But, you can use this trick to wake up the kids. 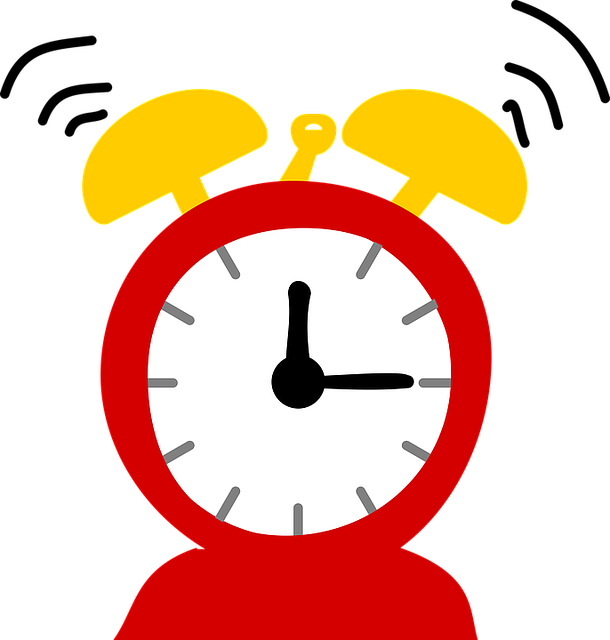 Place a noisy alarm clock across the room from their bed. Set the alarm for whatever early morning hours you like and just let it ring until your children get up and turn it off. If they walk across the room, there is a better chance that they stay up rather than crawl back to bed. 6. Start changing their sleep patterns one week before school starts. It would take time for the kids to adjust to waking up earlier again. So give them at least a week to implement #4. Make waking up early a part of their habit gradually. Don't force it on them right on the first day of school. It won't work. I know it is so because of experience. Give them a good reason why they need to wake up early. We have 5 children going to two different schools, so they all need to be ready in time or else their siblings in the other school will be late. They need to learn to be considerate and wake up early. If they have issues on going to school (they don't feel like going to school for reasons like fear, laziness or being bullied), you need to deal with that, too. You've got to encourage and affirm them that things will be all right or better. If you could give an incentive, then do so to help them achieve their goal. I'm still prepping my 2 gradeschoolers so they would be ready to wake up early by next week when their classes start. The highschoolers are still adjusting. They are able to go to school in time this week, but they need to wake up earlier next week otherwise their siblings will be late for school. How about your kids? Have they adjusted to waking up early for school again? I remember when I was a student myself and my mom would be stressed out shouting wake up! time to wake up .. every day without fail! Now I do the same! Lol... but I should say not anymore.. if my daughter doesn't wake up early, I told her to I'd leave without her, and that made her responsible with her time. While my son would wake up an hour and a half early to prepare himself to school, he knows no one will bring him to school, he needs to take the bus daily! I guess It pays to be on our own here in the US. This was my dilemma when I was a student. It's really hard to get up early and there were times that our school service leave me because I just woke up when the bus arrives. But thanks for sharing these tips so I could apply these to my future kids. Tama, Doctor Eamer. Kailangan masarap ang breakfast. Yes, Gemma. Getting them to wake up on their own is part of teaching the kids to be more responsible. My son's school will start on 14th. As early as now, I am telling him to sleep early to wake up early. After his favorite show, he will sleep na although you naman little boys. They are hyper and takes time to sleep even he's already lying on his bed. Sometime he will still call me para tabihan sya hehe. Hay naku, Mommy Maye. Ganyan din si Angel ko. Even if she's already 8, she still wants me na tabihan sya pag matutulog.